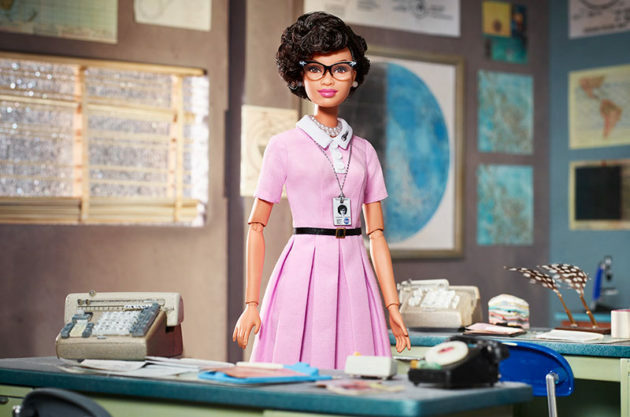 Hidden Figures the award-winning film about three unsung black women who helped propel NASA into its space missions have inspired many individuals so much that the doll maker Mattel will be honoring Kathering Johnson, the only living one with her own doll. The 2016 film adaptation of Hidden Figures saw the work of Dorothy Vaughan, Mary Jackson, and Katherine Johnson played by Taraji P. Henson, Janelle Monae, and Octavia Spencer. Johnson, was the NASA mathematician and physicist who calculated trajectories, launched windows, and emergency backup return paths for several space missions. The Barbie doll will feature a pink dress and black-rimmed glasses. The doll is also a part of the Barbie’s Inspiring Women Series, a line of dolls from the makers. “Girls have always been able to play out different roles and careers with Barbie, and we are thrilled to shine a light on real-life role models to remind them that they can be anything,” Mattel vice president Lisa McKnight said in a statement. Along with Johnson, pilot Amelia Earhart and Mexican artist Frida Kahlo are also included in the series, which is slated to go on sale May 10.